Diacritical signs are small extra signs, like dot, acute, breve or ogonek, added to letters. 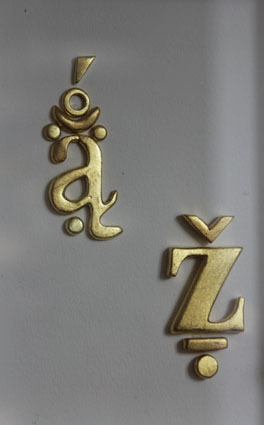 The main use of diacritical signs in the Latin alphabet is to change the sound value of the letter. As the number of Latin letters is too narrow to cover all sounds needed to transcript other languages there are various ways to increase the basic alphabet and adapt it. Diacritical signs also mark standardization and appropriation.